Click on the individual part number to see the part and order it through our online store. 21 200 PLATE - Mounting, Stationary Cutterbar, L.H. 25 212 PLATE - Mounting, Sliding Cutterbar, L.H. 37 201 HOUSING - Knife Drive, L.H. HOUSING - Knife Drive, L.H. 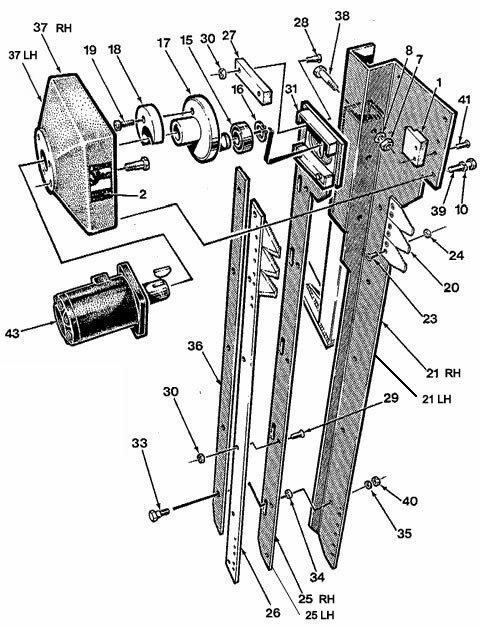 25 188 PLATE - Mounting, Sliding Cutterbar, R.H.
37-099 – HOUSING – KNIFE DRIVE, R.H.
21-082 PLATE – MOUNTING, STATIONARY CUTTERBAR, R.H.
25-212 PLATE – MOUNTING, SLIDING CUTTERBAR, L.H.